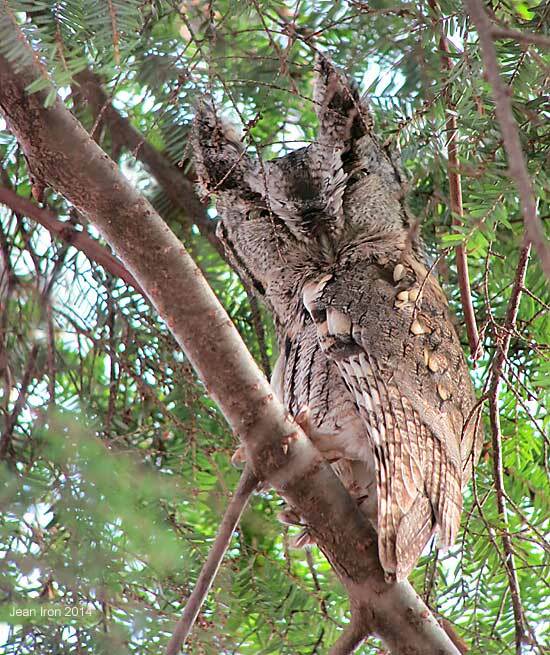 This grey morph Eastern Screech-Owl was in Brookbanks Ravine, Toronto, on 19 December 2014. It was being mobbed by Black-capped Chickadees, White-breasted and Red-breasted Nuthatches, Downy and Hairy Woodpeckers, Dark-eyed Juncos and American Goldfinches. Because the small birds were making so much noise and flying at the owl, Ron Pittaway and I found it as it tried to be inconspicuous at the top of a young Eastern Hemlock.